Anna-Karin – She has gorgeous hair! As always great professional head shot photographs! Heather Puett – Stunning stunning stunning! Once again I just love the bold colors! Jessica Washburn – Love her smile in that second shot–beautiful! 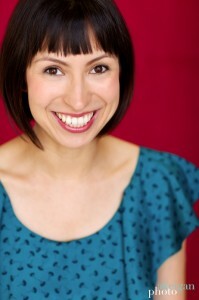 Anabel Sanchez – Love your headshots! Gorgeous! Paula – Your head shot work is beautiful! I am always in love with the light you capture in your subjects eyes. 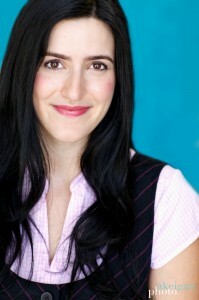 Sarah Duckworth – I seriously admire your headshot work – always colorful, always gorgeous! missy pfannenstiel ~ kansas city newborn photographer – You sure can rock a headshot, lighting is amazing and she is GORGEOUS! Lisa Kelly – Ooooh I love these. Amazing colours, she comes across as super bubbly, well done. Tammy Krummel – gorgeous headshots! Tammy Krummel – These are gorgeous headshots, lovely colors! Sarah Duckworth – Amazing portraits of a truly stunning woman! Good luck to her! Jenny Ruddle – Wow she is stunning, love the colours here! PamN – Every one of these images is fantastic! Great work showcasing a beautiful lady. Lina – one word – A.mazing! Robbie – Nice mix of fun and serious – really gorgeous work for this beautiful lady! Sarah Pierce – Wow, she is stunning! Gorgeous shots. And I love that teal on her! Anna-Karin – Wow , she is beautiful!! I love the variety of head shots you captured from her session. I would want all of them if these were mine. So nice to see such a variety and have that to choose from to help her professional career. Heather – These are delicious! She is stunning, and so photogenic. You did a great job with the variety here. She will be pleased! Heather Puett – So amazing as always. Love all of the vibrant colors. Such a beautiful subject as well! Sarah Pierce – Vibrant colors and great style! her personality really shines through. Nice work! Tammy Krummel – great colorful and fun headshots! Lisa Kelly – You are so right, that is one truly stunning smile. Love these colourful and sweet images. Corey Sewell – Beautiful! Her smile is radiant! Sarah Duckworth – I always get so excited to see you post a new set of head-shots – it’s always so unique and fresh, and shows off your clients’ personalities! Kelly – WOW, she is gorgeous and the photos are stunning! I LOVE the color combinations here, so creative!! I’m sure she is thrilled with these!! Anna-Karin – I love her smile!! You captured her perfectly and what a great headshot variety to have to choose from. melissa pfannenstiel ~ kansas city newborn photographer ~ – Gorgeous! She must be thrilled!